This art has been around for a while. 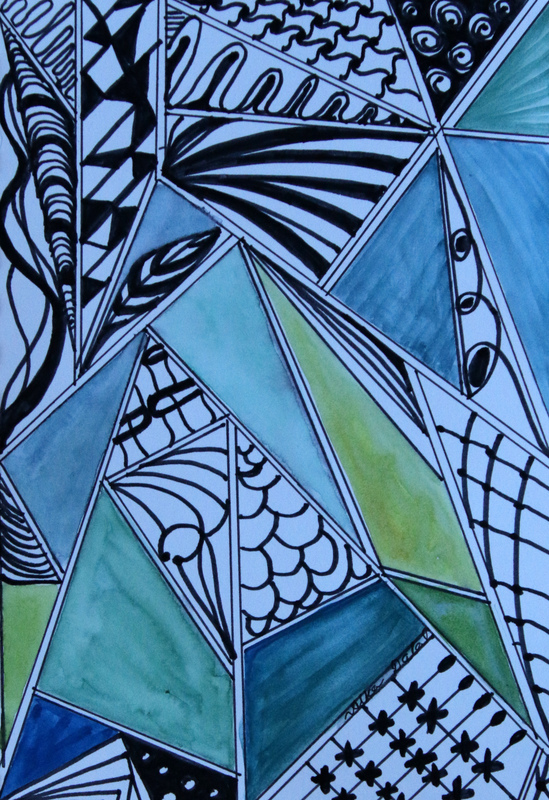 Some call it Zentangle, some call it doodling and I call it Creatangle as it is creative and fun for me. I’m sure if you try it, it will be fun for you too. With the help of simple watercolor or acrylic colors and markers you can create your own lines and designs. A sketch pad would work just fine. You can start with pencil and use markers later on.